As Apple invests heavily in augmented reality, the company is still internally unsure about where the future of AR hardware may go, and as a result there are reportedly multiple competing projects being developed internally. 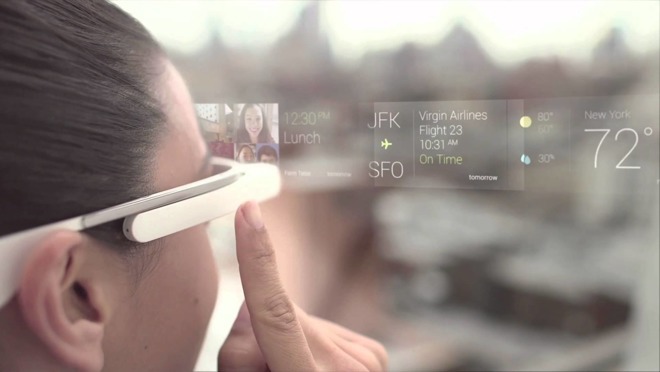 Google's early effort at AR-like technology, Google Glass. Citing people familiar with the efforts, the Financial Times reported on Friday that AR glasses have become "a particular area of experimentation" within Apple. Still, the company is hedging its bets and working with various styles and types of glasses with varying functionality. While some Apple AR glasses in development use their own integrated displays to merge the real world with a virtual one, other approaches are akin to Samsung Gear VR, which uses a Samsung Galaxy handset for a virtual reality display. Friday's report revealed that one team of Apple engineers have advocated for a pair of glasses featuring 3D cameras but no screens, instead relying on an iPhone as the primary display. Such an approach would not be a surprise, given that the iPhone already has advanced sensors and processing power capable of running ARKit apps in iOS 11. 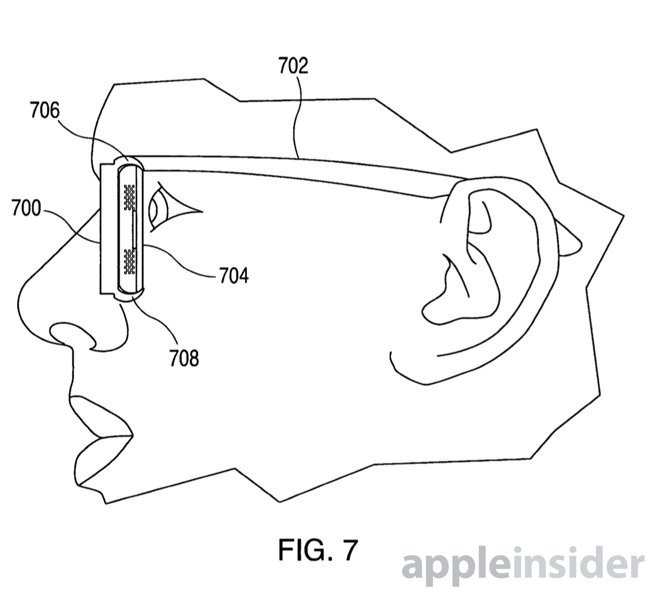 One potential issue for Apple in using the iPhone itself as an augmented reality head-mounted display is image resolution. While Apple's current Retina displays are high quality, the pixel count is actually low for viewing content from extremely close, resulting in experiences that are far behind the likes of Oculus Rift or HTC Vive. That could change with the "iPhone 8" this fall, however, with Apple's own HomePod firmware indicating the device will have a primary 5.15-inch display area with a pixel packing resolution of 2,436 by 1,125. That's a considerably higher pixel density than the larger iPhone 7 Plus, which has a resolution of 1,920 by 1,080 pixels on a 5.5-inch display. Another key area of improvement is refresh rate, which Apple increased to 120Hz on the latest 2017 iPad Pro models. The Apple-branded ProMotion display is not yet available on any iPhone models, but its seemingly inevitable transition to smaller displays would only improve the display of AR content in a head-mounted display. Whether or not Apple's secret AR glasses ever see the light of day, the company is poised to become the largest platform for augmented reality with this fall's debut of iOS 11. New ARKit tools for developers, announced at the Worldwide Developers Conference in June, make it easy for developers to display virtual objects in the real world in a realistic fashion, offering new ways of interacting with everything from games to filmmaking to home decor.